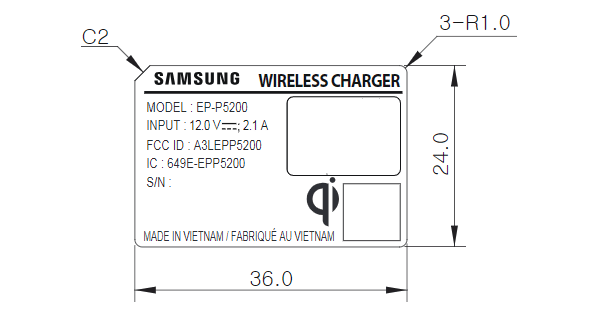 The Galaxy S10 phones are due to launch soon and they will bring the first major improvement to Samsung’s wireless charging thanks to the Samsung EP-P5200 charger that was certified by the FCC. The new charger is rated at 12V/2.1A input. For comparison the EP-N5100 takes 9V/1.67A input and outputs 9V/1A – that’s 9W of power and about 60% efficiency. Assuming a similar performance we can expect around 15W of charging power for the new phones (which lines up with the description of “less than or equal” to 15W). That’s as fast as the current Samsung Fast Charge, which outputs 9V/1.67A over the wire (15W again). By the looks of it, the Galaxy S10 phones will stick to 15W wired chargers so they will charge equally fast whether you use a wired or wireless charger. yep I Just read it after answering to you! I'd gladly pay $1000 and not even have that as a consideration as it's not needed. The adaptive fast charger works great.